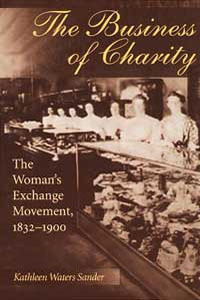 The Federation of Woman's Exchanges helps women achieve economic stability through consignment and sale of fine-quality, hand-crafted items through Woman's Exchanges in 20 cities in 12 states. We follow in the footsteps of women in the 19th century who began Exchanges to help other women who had fallen on hard times. These women discretely placed their hand-made items and home-cooked food in Exchanges where they were sold.